My husband went to bed early, and my kids have been asleep for hours. This is when I usually struggle with binge snacking or drinking wine. And I didn’t do either! I had a nice warm cup of tea, and watched trashy tv. What do you do when you’re unexpectedly all alone? Danni , Lisa S. and 18 others like this comment. I agree, rare as it is, alone time in the house can be tough to resist. I’ve cut up apple into tiny pieces and sprinkled cinnamon on it. That and hot tea and Halmark movies. 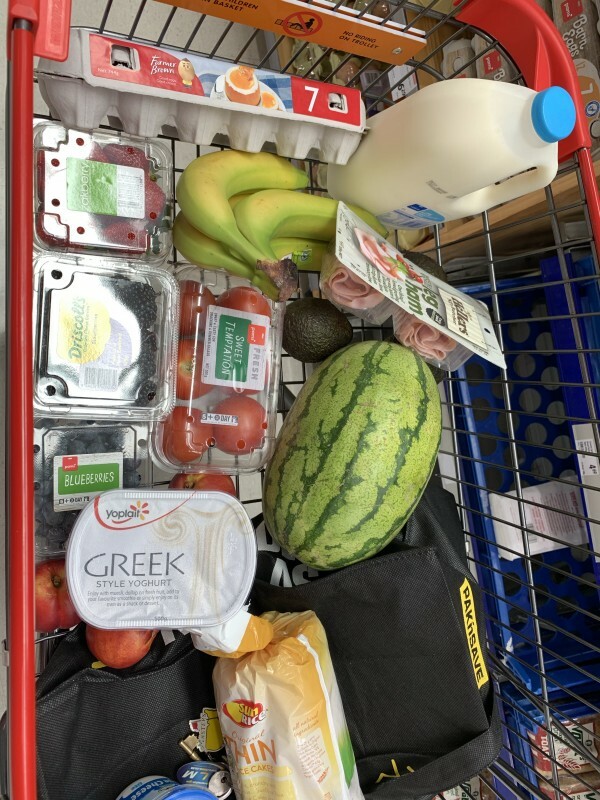 Was hard but managed to get through the whole supermarket without adding anything unhealthy to the trolley :) anyone have tips on how to avoid temptation at the supermarket? Amy P. , Christopher S. and 20 others like this photo. Eat before you go, or maybe have an recipe you're really excited to make for lunch or dinner. That way you are more focused on getting those ingredients and looking forward to that meal, rather then thinking that chips or something else sounds good.